With The Witcher III: Wild Hunt releasing in just a week now the amount of official (I will not be talking about anything leaked or mistakenly released) information about the game is steadily rising. While The Witcher III: Wild Hunt already feels like a known quantity just based on the copious amounts of trailers, game play footage, and other assorted reveals CD Project Red has still felt the need to give us more, I for one am not complaining. 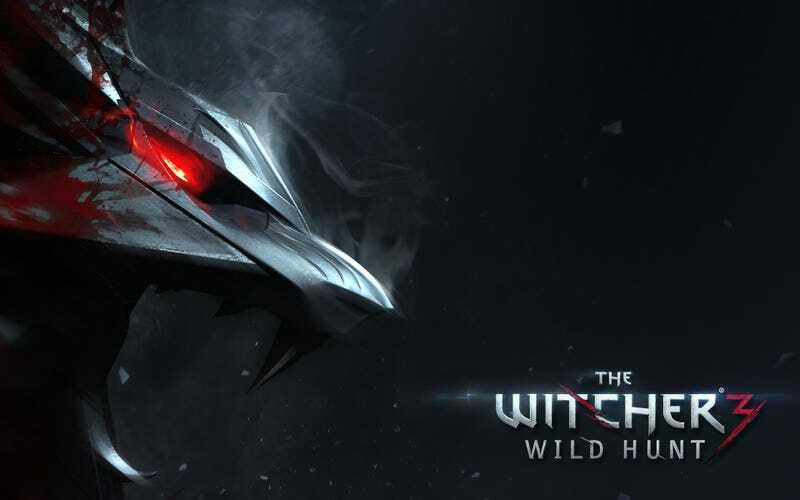 So for those not paying too much attention here is The Witcher III: Wild Hunt Release Round up. Yesterday The Witcher 3: Wild Hunt’s official twitter account has announced the long awaited RPG has over 1,000,000 pre-orders. I know for a fact I am one of them. I found this newsworthy first due to the sheer volume of pre-orders showing the appetite for this game. However more importantly it once again shows that when a developer and publisher have a long track record of fan appreciation (16 free DLC packs for all platforms...) the fans return the favor. Perhaps some other publishers could learn a thing or two from the success The Witcher as a franchise has been having and perhaps learn gimmicky pre-order bonuses seem to be less effective then putting out a good retail product people actually want to buy. Just some food for thought. Beyond that with a new game releasing as always more trailers are starting to make there way onto the Internet. The first up is another gameplay trailer specifically for the Xbox One version of the game. Some technical specifications revealed is that the Xbox One version of the game runs at a native 900p resolution with Dynamic Scaling up to full 1080p. Probably in an attempt to match the PS4’s native 1080p resolution and of course avoid the predictable as the sun fan wars over such triviality.... Both versions are of course locked at a constant 30 FPS, with the PC version almost certainly capable of far more based on the track record of CD Project Red previous releases. I myself am not such a snob when it comes to graphics so this small issue with the Xbox One version wouldn’t bother me as much but it might for others. Regardless the game looks damn impressive and the horse riding looks the best since Red Dead Redemption. The next piece of content will certainly be a treat for Game of Thrones fans as the great Charles Dance is the center of all attention, Dance as one may know played the (near) indomitable Tywin Lannister before his untimely death sitting on a non-Iron Throne. Dance plays a key role within the Witcher universe that of Emhyr var Emreis the Emperor of Nilfgaard one of the most aggressive nations in the game. Beyond that with Ciri being a main (or at least prominent) character within the game his constant attempts to claim her during her childhood will almost certainly play a role. Finally from a more technical perspective The Witcher 3: Wild Hunt’s team announced that in the lead up to release they’re still trying to squeeze more performance out of all platforms announcing, “Over the last two weeks, we’ve increased performance on all platforms”. Now with release so near the team is moving full steam ahead on the epic expansion content already announced. Finally also for those PC users The Witcher 3: Wild Hunt is now available for pre-loading VIA Steam and GOG Galaxy. Okay thanks for reading if missed anything interesting that’s come out in the past few weeks don’t hesitate to add it in the comments. I don’t know about you but I am really excited for this game and can’t wait until the main game launches next week. Anyways I’ll now leave you with my favorite The Witcher: Wild Hunt trailer Killing Monsters.